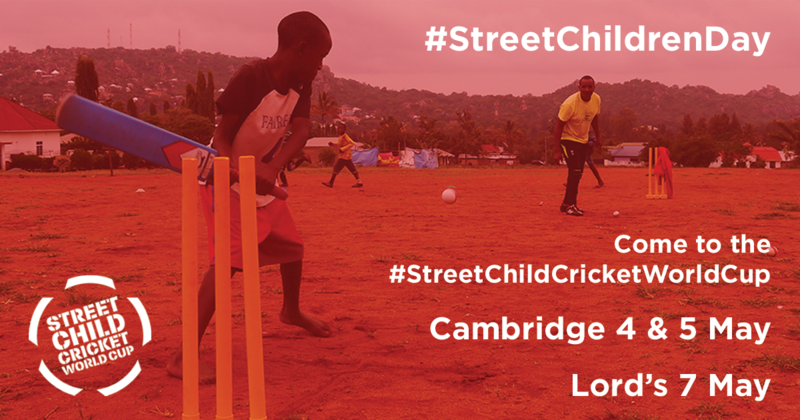 Friday 12 April is International Day for Street Children – an opportunity to show solidarity with street-connected young people across the world. 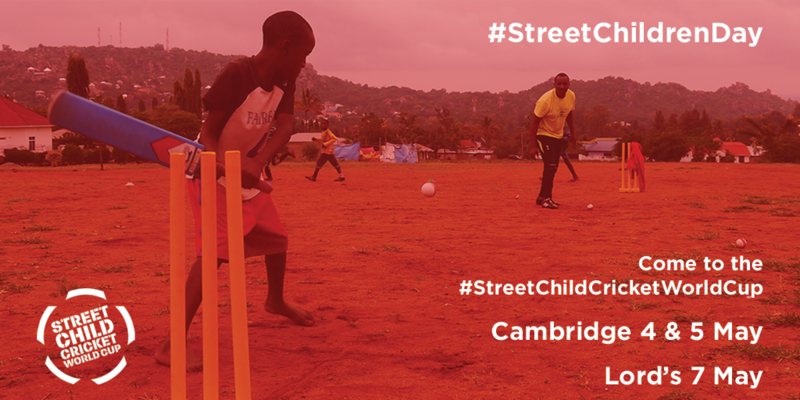 Life on the streets for children is filled with danger. Instead of receiving support, they are often blamed for their situation and stigmatised. As a result, they face violence and abuse. Although they are vulnerable, they are also resourceful and resilient – but are denied the opportunities they need to realise their potential. 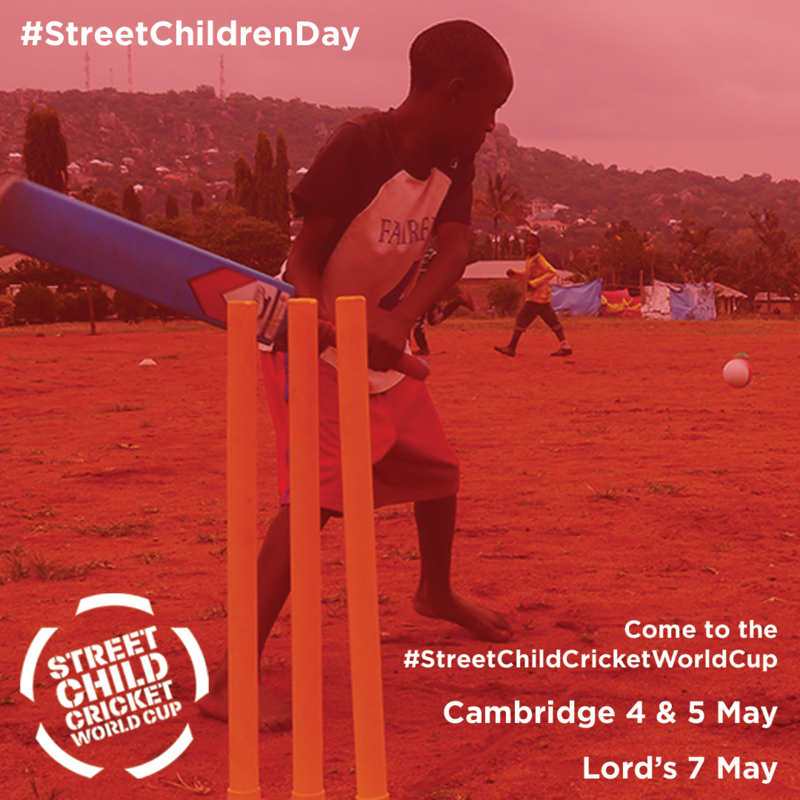 This International Day for Street Children, please show your support for the Street Child Cricket World Cup by posting one of the social media images below.